My friend and driver of the DG Spec Scion tC, Scott was in Germany a couple weeks ago, and took some footage of manufacturer testing at Nurburgring. This is not the current cars being tested within the last two days. 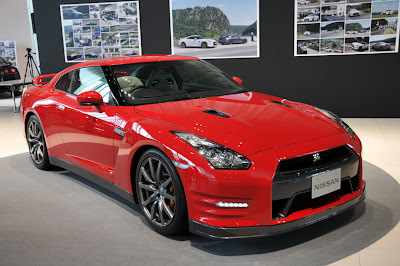 The 2013 GT-R is according to some sources in Germany going for timed laps tomorrow. Its not likely those times will be available until the Tokyo Auto Show. A couple of the cars look like they are really hustling. One manages to have a little bit of a "moment" on corner exit. He even got a chance to run around the 'ring in a Renault Megane RS Sport. I would love to hit the ring one day. I don't need to go that fast, just want to check it off the list.